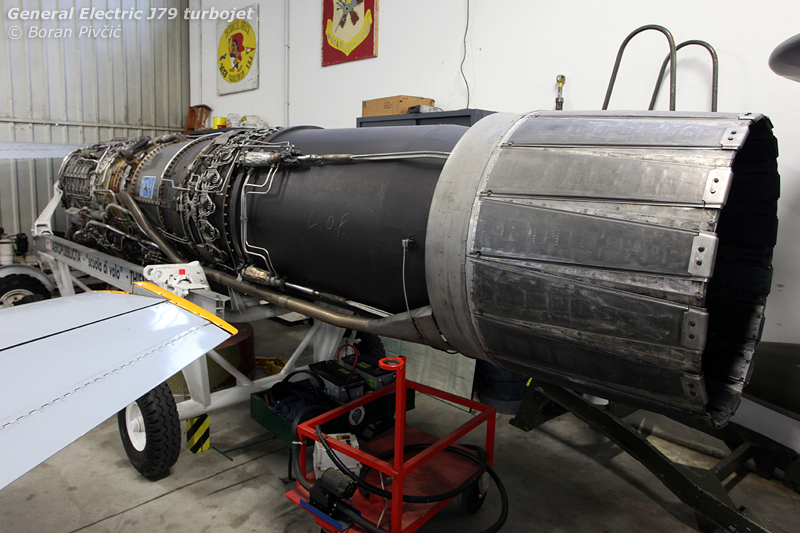 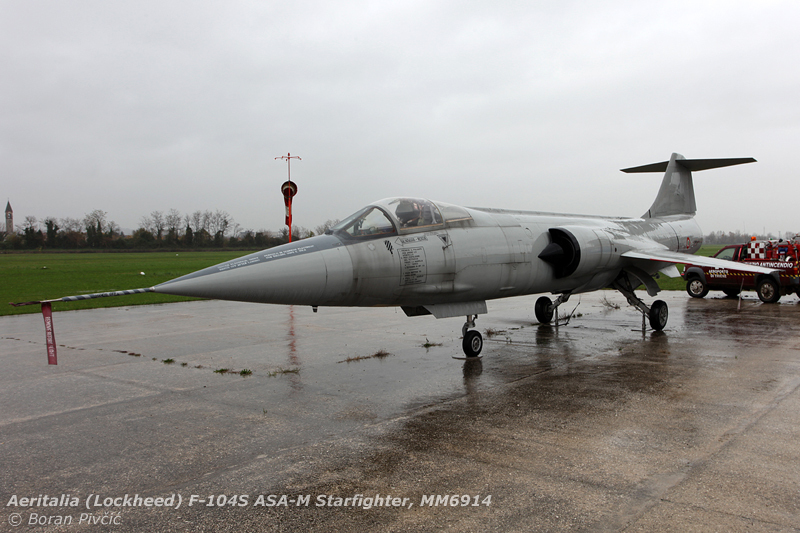 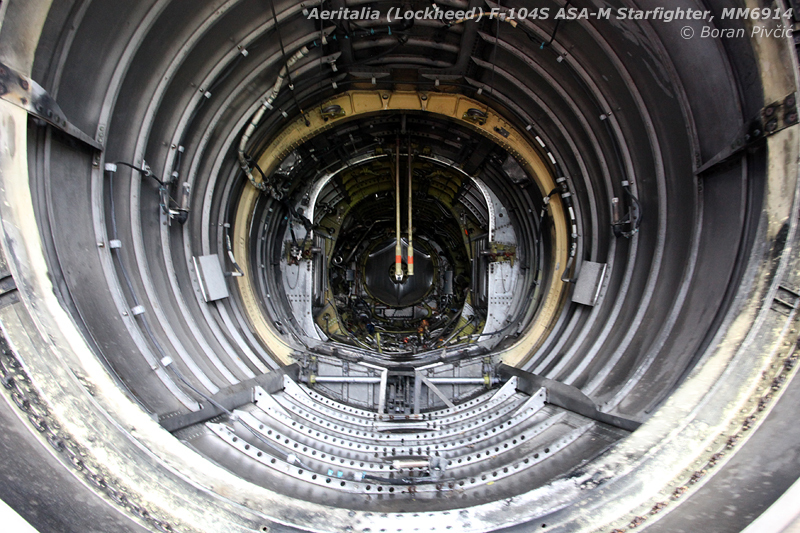 Photo Report – Lockheed F-104 Starfighter, MM6914 | Achtung, Skyhawk! 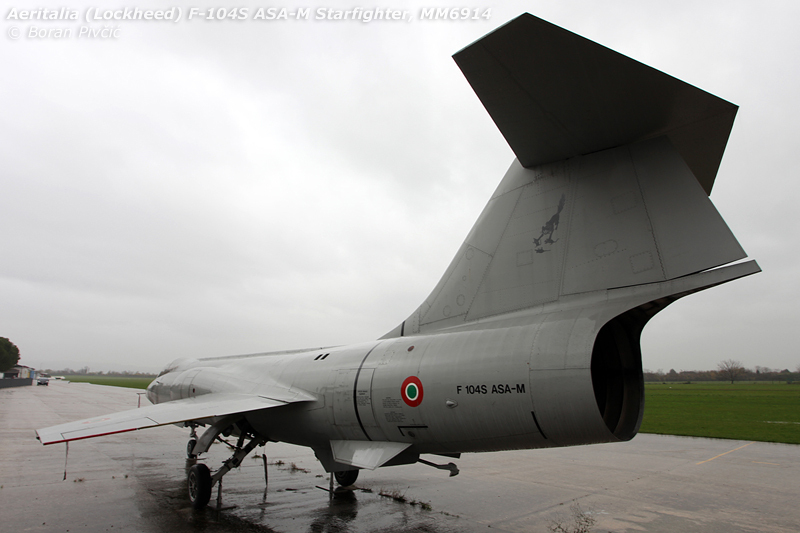 A quaint grass strip situated a few miles north of the historic city of Vicenza, Thiene did indeed have a party piece for me, one I’d homed in on even from the airfield’s access road: a beautifully preserved F-104 Starfighter, the first one I’ve ever seen in person! 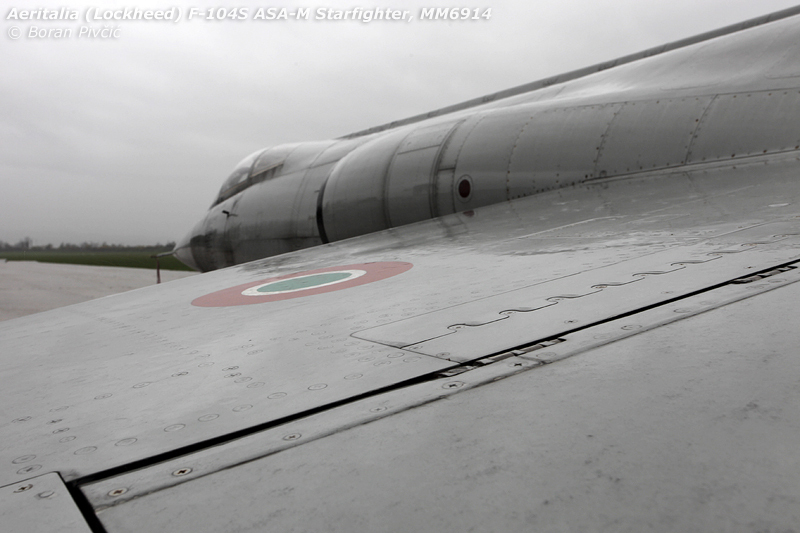 🙂 Its air superiority gray blending in perfectly with the dull, low overcast, its fuselage gleaming in the rain, it had immediately grabbed my attention – and after a short round of international diplomacy, the very kind airfield staff had allowed me to get up close and whip out my anti-aircraft Canon :D.
Standing in front of MM6914, it is hard to appreciate and even imagine the impact the Starfighter’s shape had in when it had first flown in 1954. 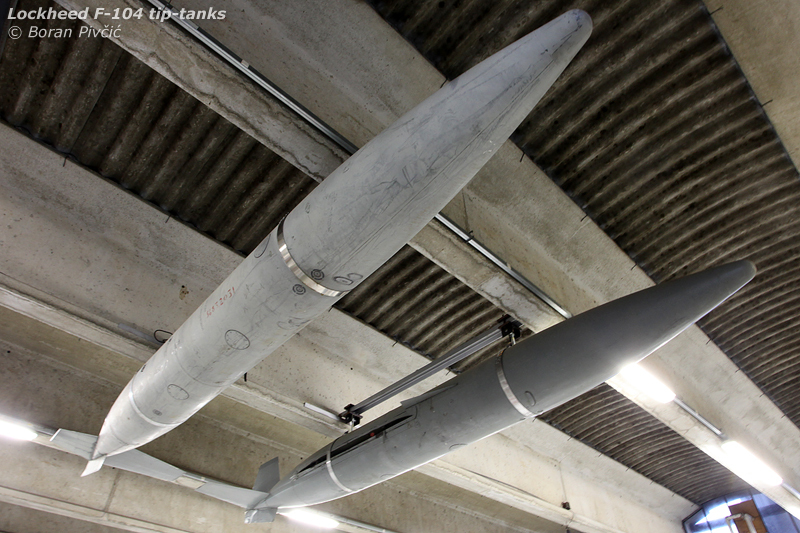 WW2 had ended just nine years ago, propliners were still plying the skies, and even the world’s major air forces still had piston-engine fighters in frontline service… and then, out of nowhere, this needle-sharp, razor-winged jet-propelled missile appears, thundering past at twice the speed of sound and altitudes three times higher than any civil aircraft could reach. 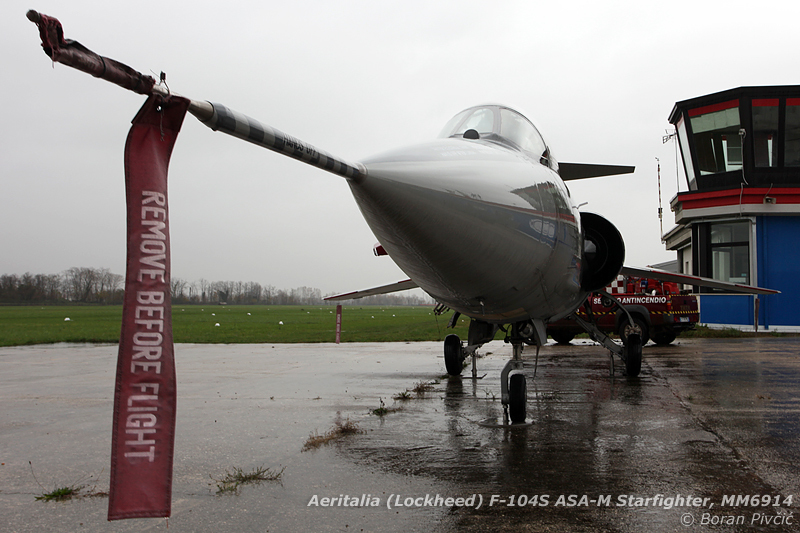 In a world still inspired by Buck Rogers and Flash Gordon, it wasn’t really hard to see how the 104 got its name :). 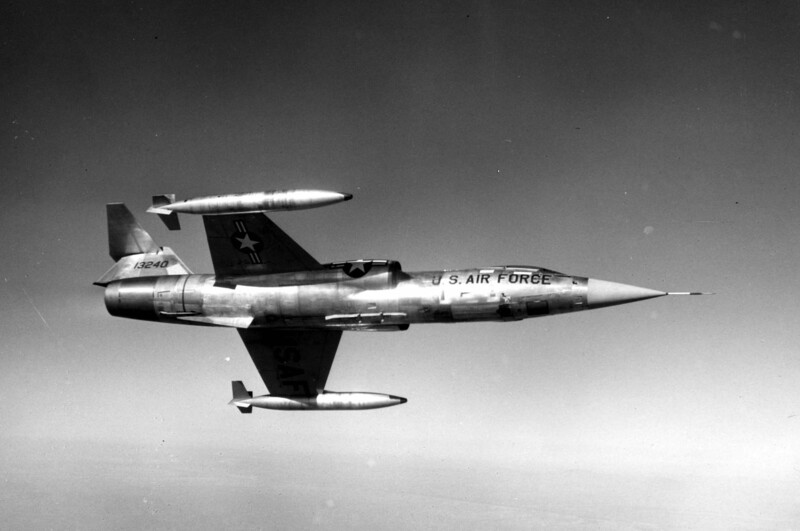 You can easily see one of the keys to the 104's incredible speed - there really isn't much in the way of drag or weight to hold it back :).